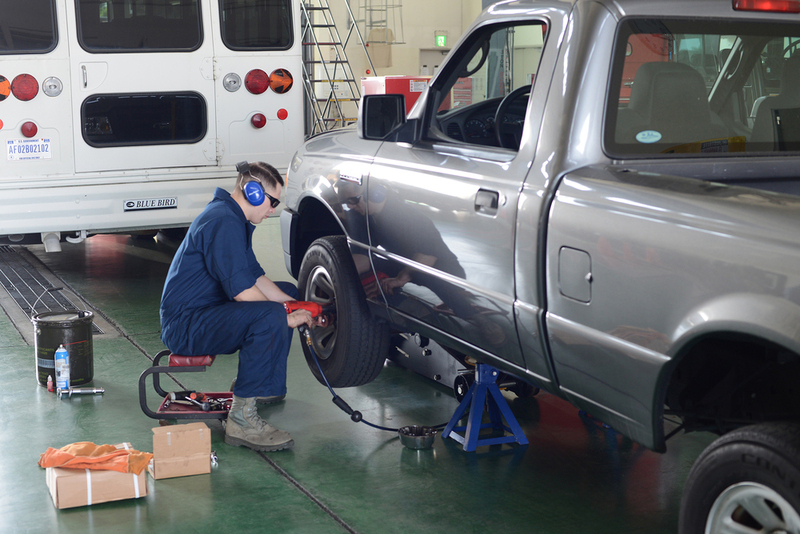 In a compound hidden away from prying eyes, the men and women of the 374th Logistics Readiness Squadron vehicle maintenance shop don their blue mechanics overalls and work to ensure that Yokota's wheels on the ground can keep our birds in the sky. 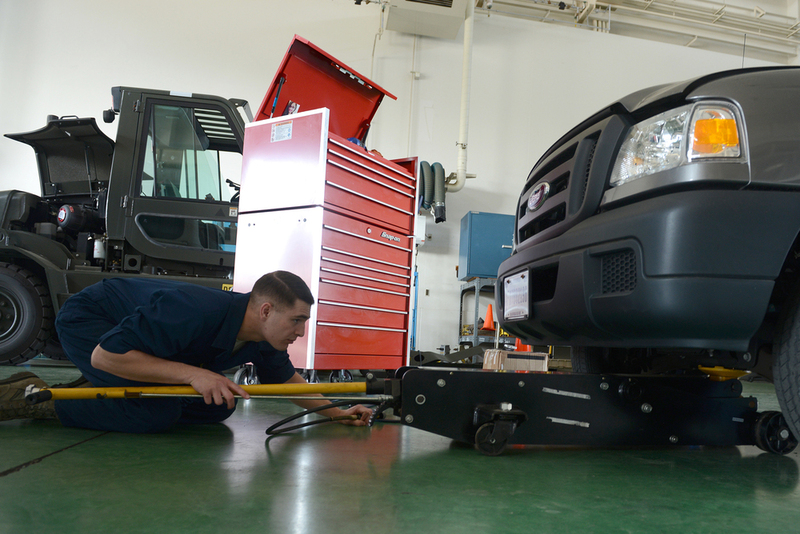 Whether it's maintenance for emergency services conveyance, buses for bilateral tours or vehicles on the flightline, they bring technical expertise vital to mission success. 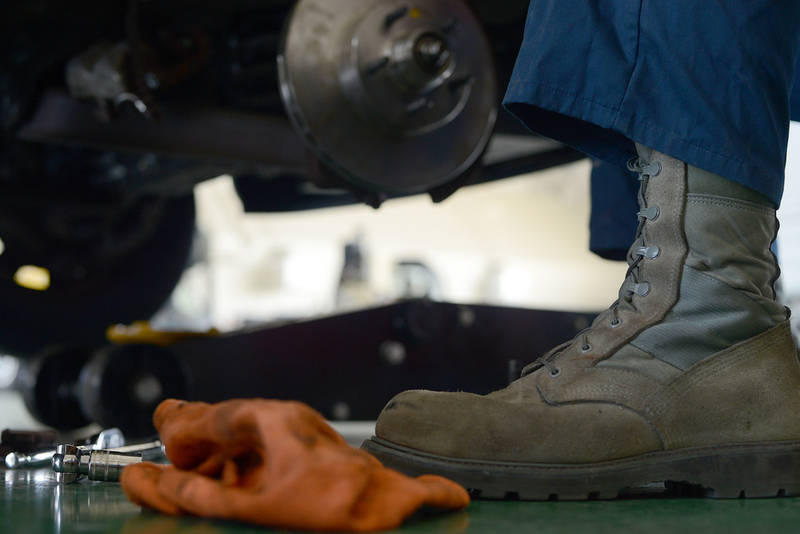 To some people, the blue overalls and Air Force boots covered in grease and oil stains are just another uniform, but to Senior Airman Brandon Higginbotham, 374 LRS vehicle maintenance journeyman, they are a source of pride symbolizing the accomplishment of a lifelong dream. "Vehicles have been a hobby for me since I was a little kid," Higginbotham said. "I get to do something I love for a job so it's like I can do my hobby all day long." At five years old, Higginbotham helped his father work on his first car, a Malibu drag car, and was allowed to work solo by age ten. After a successful career as a professional mechanic in the civilian sector, Higginbotham enlisted in the Air Force looking for new challenges at the age of 23. The Air Force gave him the opportunity to broaden his skillset working with military vehicles while stationed in countries across the world like Japan. "The thing I look forward to the most when I wake up in the morning is coming to work and there's a hard job--something that's going to make me think, make my gears turn," Higginbotham said. "Once I overcome that challenge, if it ever comes up again, with a snap of my fingers I'll know how to fix it." Working alongside a staff of highly experienced local national mechanics, Higginbotham has performed maintenance on a variety of vehicles, his favorite being the Humvee due to its maintenance difficulty. Despite the language barrier, he has learned from and developed bonds of friendship and respect with his Japanese coworkers over a shared passion for vehicle maintenance. "I love working with them, most of these guys are over 50 years old and have so much experience working with these vehicles," Higginbotham said about his mentors. "It's awesome, especially for our new Airmen, to get the opportunity to learn from these masters." Higginbotham ended by stating that while completing the mission in a timely manner is important, showing pride in your work and an attention to detail is vital. "You've got to get the vehicle out, but you also want to deliver a quality product." Higginbotham said. "You don't want to just throw something together, throw it out the door and have it come back the next day. 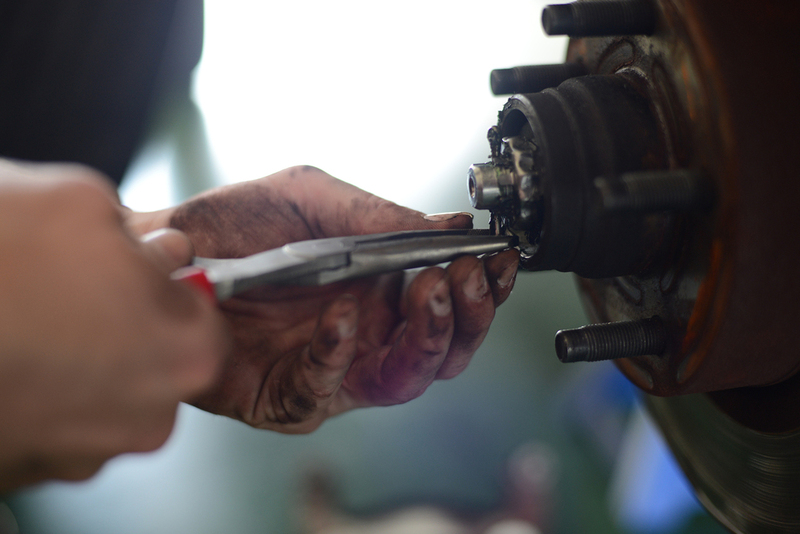 That's not what we do at vehicle maintenance, that's not who we are." Higginbotham plans to continue working on vehicles for many years to come.